It happens every year. The cold weather has most Canadians wanting to escape to the south. We will do anything to take our minds off the mounds of snow that have accumulated outside, and the bitterly cold temperatures. Lots of people have even taken their families on vacation to tropical destinations. We’ll even take to our mobile devices to look up vacations to places we don’t have the vacation time to go, or just can’t afford. We can dream, can’t we? Yup… but we can also gamify travel. There is a hot new travel trivia mobile app out called Trippzy, where you can test your travel knowledge in order to gain some pretty cool rewards. Launched in January 2019, Trippzy has been in the works for many years. “I have been interested in finding a way to gamify travel journalism and tourism marketing content for several years. My research and my knowledge of media history (it was the topic of my grad school thesis) had shown that mobile games were not only where consumers were gravitating toward but also where content would have to go in order to reach those consumers. Creators of content needed to adapt. I didn’t understand how to do that technologically until Herman Chor, Trippzy’s CEO, and I began talking more in-depth about solving the tourism industry’s business challenges — namely, how to engage younger consumers and how to increase travel to shoulder season. Herman, who is a brilliant computer programmer and software engineer, and I were next-door neighbours in Vancouver and began hammering through ideas in late 2016. We incorporated Trippzy in 2018 after more than a year of working through concepts and ideas. The app is only in its infancy and there are plans for more animation and graphics, many more interactive games, and even augmented reality.” says Adrian Brijbassi, Managing Partner at Trippzy. Coined the “next great American time-killer” by Matador Network, Trippzy is gaining steam with travellers and industry pros. “We’ve given mobile-game fans the chance to play, earn, and travel to their favourite destinations — and to do it for free. 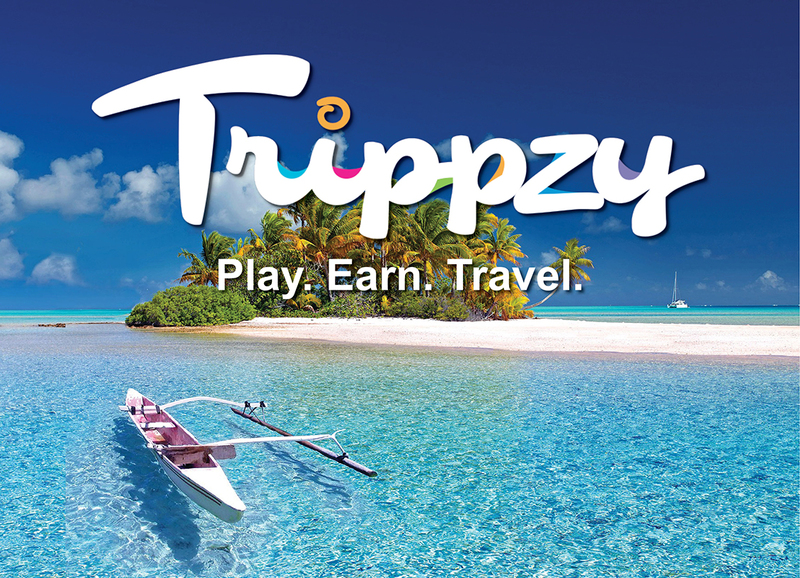 I’m proud that Trippzy is an innovation that is a win-win-win for all involved — players win because they don’t pay a sign-up fee and do receive great information about desired destinations and the chance to claim rewards to visit them; tourism boards and hospitality businesses who partner with us win because they reach consumers on the wildly popular and engaging mobile-game platform and can convince those consumers to visit within minutes of playing; and Trippzy wins because as the game grows in popularity so does our opportunity to partner with more tourism boards and hoteliers, and engage with more travellers.” says Brijbassi. When asked where he would love to travel if money was not an option, Brijbassi responded, “I’m intrigued by the advent of space travel. I’d love to be on one of those first flights scheduled to depart to the final frontier this year!” Who wouldn’t want to go trekking through the stars? Having helped fashion some of the questions and provided advice to the folks who began the process, Jim is also a senior contributor, and helps with public relations, social media, and other aspects of the business. “There aren’t other apps like ours that I’m aware of, but the app field in general is a crowded one so it’s always a question of how one gets noticed. I’m not worried about it but getting attention does require planning.” says Byers. When asked where he would love to travel if money was not an option, Byers responded, “The Marquesas Islands of Tahiti. I love the stories of ancient Polynesians launching canoes across thousands of miles of open Pacific Ocean water, and the islands are truly wondrous pieces of land.” Sounds like pretty amazing trip! It’s a free mobile app that focuses on travel trivia. But it is so much more. By downloading and signing up, you can qualify for round trip airfare, luxury hotel stays, cash prizes, and bonuses like discounts at popular Caribbean destinations. Some of the destinations featured on the app are Anguilla, Antigua & Barbuda, Barbados, British Virgin Islands, Curaçao, and Nevis. Accumulate TripCoins to answer trivia questions and win travel rewards you can use toward great deals on your next trip, including airfare, hotel stays and vouchers for attractions, public transportation, meals and much more. And while using the app, you are entertained by steel drums of the Caribbean. It will take you a while to accumulate enough point for a reward, but the app is both entertaining and educational, and will keep you coming back for more. Collect TripCoins by answering trivia questions. The faster you answer, the more points you earn, and the faster you can start traveling in style. Exchange your TripCoins for destination travel rewards, and on-the-spot deals in your favourite destinations around the world. Win TripCoins and you can collect real travel savings on your flights, hotels, restaurants, activities, and more. “As with any disruptive enterprise, getting people to realize what Trippzy can do and that it really has developed a way to address existing business problems has been a challenge. But that’s changing fast, as reviews come in and as more and more agencies who work with tourism boards bring Trippzy to the attention of their clients. What we are seeing is those people who do get it — which are usually the tourism industry professionals who have been focused on innovating their marketing tactics — are as enthusiastic of Trippzy’s prospects as we are.” says Brijbassi. Triply is available on both iOS and Android. Be sure to download the Trippzy app before you go on your next vacation. It’s pretty fun, and is sure to keep you entertained while sipping a cocktail at the airport lounge, waiting for your flight. You can follow Trippzy on Twitter, Facebook, and Instagram. Use the #PlayTrippzy hashtag if you are posting about using the Triply app.